StarBoard TE-SN70 Interactive Touchscreen Display is a top of the class collaborative communication product. It is built for use in high-end offices and educational institutes. 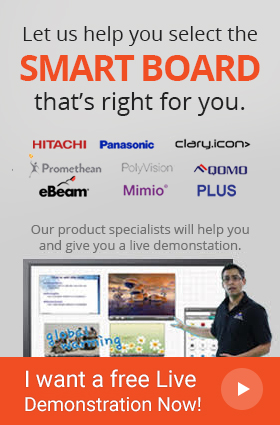 StarBoard TE-SN70 is a large 70“touchscreen panel that supports a captivating display, 10 point multi-touch, and state of the art touch sensing technology. Its HD resolution display looks absolutely lively and colorful, with all details vivid. TE-SN70 makes use of IR touch sensing technology that is exceptionally quick to respond and boasts a large number of touch points, which means that touches are detected with pinpoint accuracy. TE-SN70 Interactive Touchscreen Display is suitable in all kinds of work environments, owing to its compatibility with all commonly used computer systems, including Windows, MAC, Linux, and Android. Moreover, StarBoard Interactive Software support is part of the package and equips users with all the necessary tools for collaborative activities. StarBoard TE-SN70 Interactive Touchscreen Display is definitely a product befitting the needs of professionals who settle for nothing than the best. Teamwork is one of the key aspects to boost productivity in all modern day workplaces. Individuals and professionals throughout the world are being encouraged to look for ways which enhance collaborative work. StarBoard TE-SN70 Interactive Touchscreen Display has covered this aspect in an efficient way where its 10 point multi touch capability allows multiple users to work at once. This means that if one user is playing around with objects or swiping through figures through touch, the other can easily continue working with his/her pen.